Okay, you’ve read our post on the Best Strollers to Bring to Disney World and you’ve got your stroller that you will be bringing to Disney World, but does it have all of the accessories to make your vacation as easy as possible? Check out what we think are the Best Stroller Accessories! The Snooze Shade is perfect for those long days at the park! If your little one sleeps easily in a stroller, then this accessory is for you! 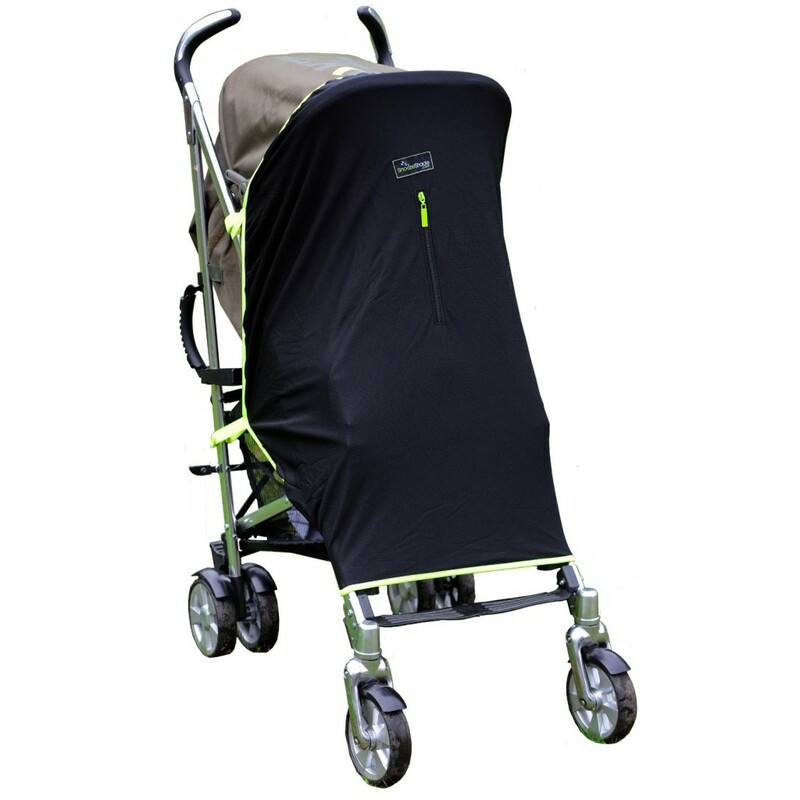 The Snooze Shade fits most single strollers that comes with a sun shade. The Snooze Shade has a UPF 50+ rating and blocks out 94 percent of light, providing a dark space for your child to snooze while you explore the parks! Made of breathable fabric, it allows air to circulate but keeps out light! There’s also a front zip so you can check on your child. The Buggy Guard B Hook is perfect for holding bags of souvenirs or that diaper bag on your stroller, leaving the basket below empty for even more Mickey souvenirs. 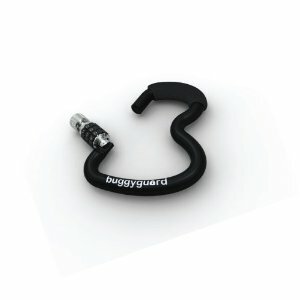 Not only is the Buggy Guard B Hook a stroller hook, it also is a lock, featuring a 3 digit combination. Using the lock will discourage people from taking the bags off the hooks. The Buggy Guard B Hook is made of strong, lightweight aluminium and gets great reviews from theme park attendees! The Jeep Standard Stroller Weather Shield is perfect for those rain showers that always seem to pop up while at the Disney Parks. 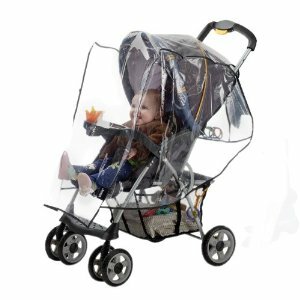 It will fit most strollers that have a sun canopy and has air holes to provide ventilation. Completely see through, it’s waterproof and windproof and will protect your little one from the rain! You can just buy those Mickey ponchos! Since you can bring your own snacks and drinks into the Disney Parks, it’s a good idea to pack those apple juice boxes and bags of Cheerios, so you don’t have to stand in line. Avoid a meltdown by bringing with you the Baby Jogger Cooler Bag. Not just for the Baby Jogger, this cooler bag is large enough to hold six 12 oz. cans. 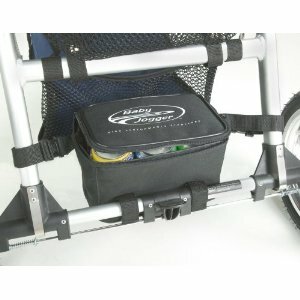 It attaches with velcro around the frame of the stroller, so it’s not taking room up in the basket! Perfect for the families that love to explore the Disney Parks and be prepared, the Prince Lionheart Click ‘N Go Stroller Kit provides the perfect accessories for your stroller! It features two adjustable clips, one swivel cup holder, one snack cup, three bottle holders, a mesh carrying bag and four “S” hooks! A mounting clip makes them interchangeable and universal. A few of the strollers that we absolutely love for Disney World doesn’t have a parent cup holder! If you’re like me, you need a place for your caffeine or your water bottle, so buy a universal parent cup holder to attach to your stroller! 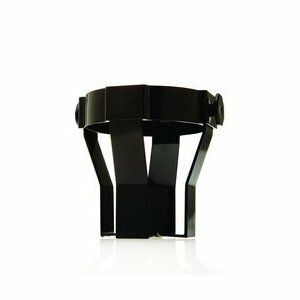 It features a swivel base to keep all cups level. All you have to do is click and go! We think these stroller accessories will make your trip to Disney World so much easier! What are your favorite stroller accessories? Yes! Finally something about pushchair accessories.